Anthony Williams, Adjunct Associate Professor of Communications Design at Pratt Institute. For this session, the Pratt community of students, faculty, staff, and administrators will collaboratively work to generate and refine a list of institutional demands, with the goal of submitting these demands to Pratt’s administrative leadership. Everyone is welcome to participate and contribute. 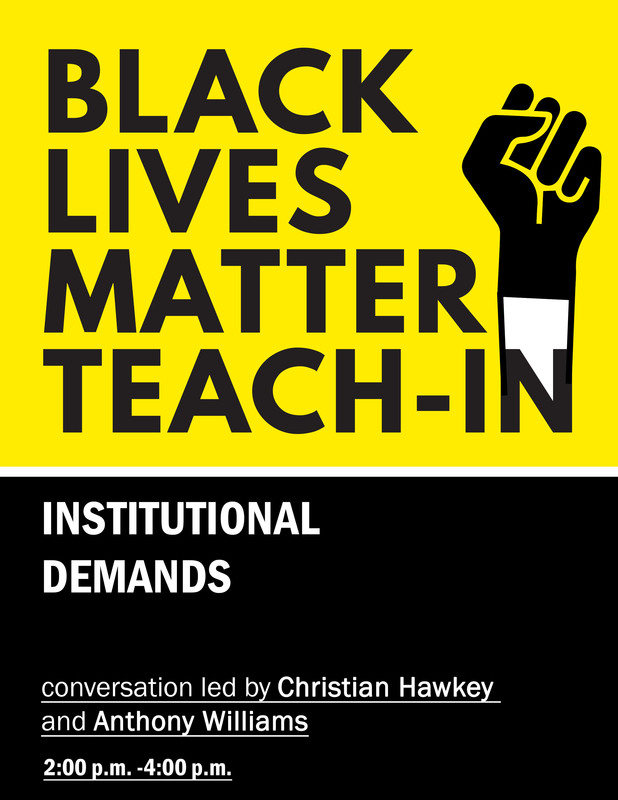 The session will be facilitated by the Black Lives Matter Pratt Subcommittee on Institutional Demands.